This week I have been struck by the outpouring of grief and respect for Parekura Horomia, who passed away on Monday at his home at Mangatuna, Tolaga Bay. 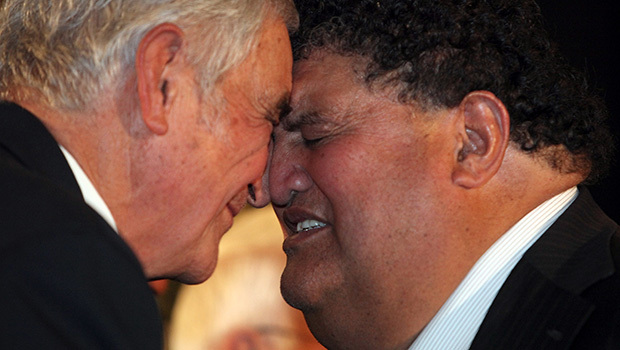 The New Zealand Labour Party MP and former Maori Affairs Minister was said to have had a physically enlarged heart – which was as much a fact as it was a metaphor. I would like to pay my respects to Horomia – who was indeed a big man, with a big heart. He worked tirelessly in the community with people from all iwis, walks of life, and sides of the political fence, to front a united voice for the people he represented. “For a huge man, he covered more miles than an athlete,” said fellow MP Shane Jones, and in my opinion he was a man who embodied the selfless leader by all accounts. Although Horomia spoke quietly, people invariably listened, his notable achievements including his role in helping Labour push through the Foreshore and Seabed legislation, and in keeping the Maori electorate onside when Labour could have been eliminated in the Maori seats. The outpouring of love and respect from those who he worked with is testament to the legacy he will leave behind. Horomia has taught me that even those with quiet voices have the ability to steer significant change – provided you have the right mindset and the courage to share it with others. As a leader, what will your legacy be? How is your contribution helping to make a difference?